This deluxe hotel is directly connected to Gatwick's north terminal. The hotel lies just 2 km away from the south terminal of the airport and the train station, enjoying convenient access to the heart of London. Guests will find themselves in a great setting from which to explore the delights that the city has to offer. This wonderful hotel enjoys a modern architectural design. The guest rooms are elegantly designed, oozing character and charm. The rooms are well equipped with modern amenities for the utmost in comfort and convenience. Guests are invited to avail of the 24-hour gym, as well as the wide range of facilities and services that the hotel has to offer. This stylish hotel enjoys a convenient setting, lying just a short distance away from London's Gatwick Airport. Guests will find themselves in a great setting from which to explore the vibrant city of London, with convenient links to the public transport network available nearby. The hotel offers the perfect option for discerning business and leisure travellers, as well as those seeking relaxation before or after a long flight. Guests are invited into the peaceful surroundings of the hotel, where elegance and charm abound. The guest rooms are beautifully appointed, and come complete with modern amenities. Guests will be pleased by the vast array of facilities and services that the hotel has to offer. 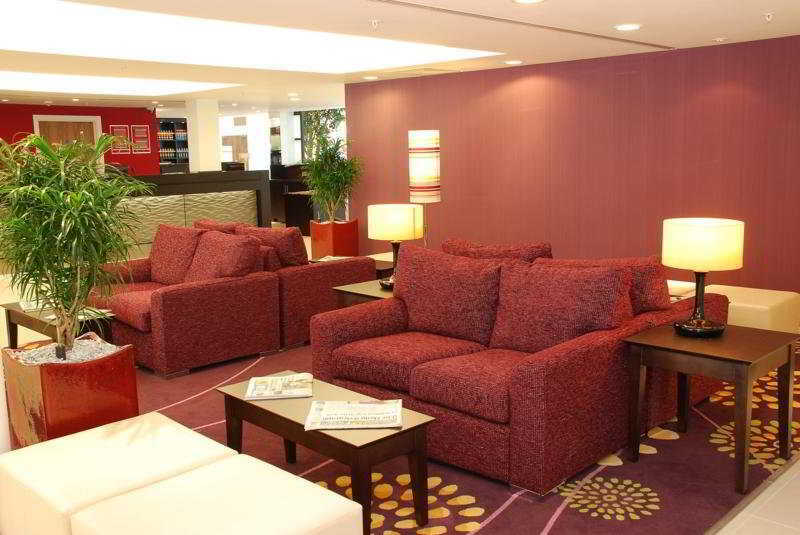 This airport hotel is directly linked to the southern terminal of London's Gatwick Airport. It takes 5 minutes to reach the terminal building via a covered walkway. Links to the public transport are 700m away. The south coast of England may be reached by taking the M23 and M24 motorways or by alternative train services. Renovated in 2008, this hotel comprises a total of 821 rooms, including 4 suites. 24-hour reception desk is available. You will find a café, gift shop and restaurants with a non-smoking area. Wireless Internet is available. Car park is also available (fees may apply). Our rooms are comfortable and well equipped. There is an on-site gym, open 24 hours a day. Guests may select their meals from a buffet. 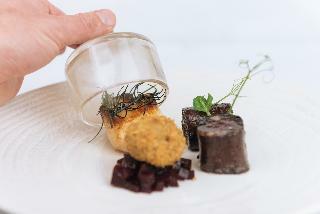 Lunch and evening meals may be selected from the à la carte menu or chosen from the set menu. Special dietary requirements and individual-specific dishes may be prepared. This pretty hotel with Spanish and Mediterranean architecture offers comfort, value and first class facilities. 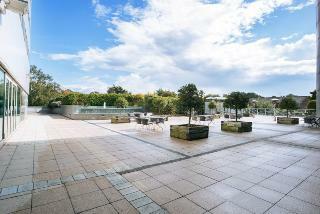 The fabulous courtyard with a fountain and landscaped gardens are the perfect place to sit and relax. The warm and inviting reception is spacious and has a mezzanine floor where the restaurant is situated. The on-site bar is cosy, with a feature fireplace and houses a modern snack menu, and leads out onto the courtyard. All 211 traditional styled bedrooms are en-suite. There is a health and leisure club where visitors can make the most of their stay. The 13 conference rooms have first-class facilities and can hold up to 132 people. WIFI is free to all guests and available in all public areas around the hotel. This charming, comfortable hotel boasts a prime location in the city centre of Horley. It is located just a short driving distance away from Gatwick airport, although it operates a convenient transfer service to/from the airport for an additional fee. Horley Railway Station is only a 10-minute walk away and M23 motorway can be reached in just 5 minutes. A great number of shops and restaurants are in the surroundings, ensuring that guests enjoy the ultimate in convenience. The hotel features a charming, traditional style, greeting clients with local British cuisine and free Wi-Fi, among other conveniences. The rooms, with private bathroom, are beautifully appointed and offer tea/coffee facilities. The guests who have the chance to stay at this exceptional establishment will find a classic-style atmosphere and an excellent service based on warm hospitality, and above all, client care. Ideally located right in the heart of Crawley town centre, this contemporary city hotel offers unequalled class and style prior to travel. Connected directly to Crawley Railway Station, this hotel has excellent links to the M23 with all the facilities of Crawley's shopping centre on its doorstep. London Gatwick is in the immediate vicinity, while Heathrow Airport is approximately 45 km away. The superbly appointed bedrooms feature large comfortable beds, tea and coffee making facilities, a mini fridge and a satellite TV. The en suite bathrooms are beautifully finished in quartz granite and have a bath with a separate walk-in shower. The on-site restaurant boasts a contemporary design and offers a superb culinary experience with a delicious seasonal menu, elaborated with the best regional produce. The bar, situated in the centre of the Atrium is an ideal setting to enjoy a light lunch or a delicious cup of coffee. 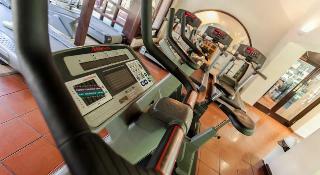 The modern health and fitness suite includes a fully equipped gym. Should you wish to use this facility, please register at the reception as the gym is unmanned. This hotel nestles amidst beautiful Sussex landscape in Crabbet Park, which is famous for the Crabbet Arabia stud. Within a few minutes of the M23 and Gatwick airport, transfer to the latter takes approximately 15 minutes. The centre with its countless shopping and entertainment venues is approximately 7 m away and links to the public transport system can be reached within 1 km. 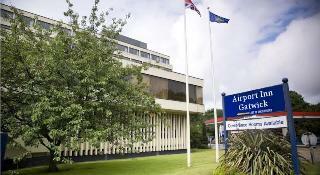 Built in 1996, this airport hotel is located near Gatwick Airport with around 118 rooms, of which 6 are suites. Guests are welcomed into the lobby area with a 24-hour reception service. 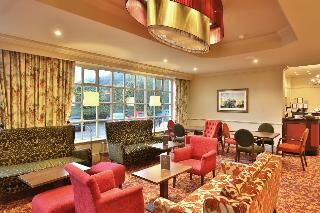 Guests may like to relax in the bar or the restaurant (high chairs for infants are provided). 4 conference rooms with public Internet are available for our business guests. Car parking is available for those arriving by car. The carpeted rooms are comfortable and very well equipped. 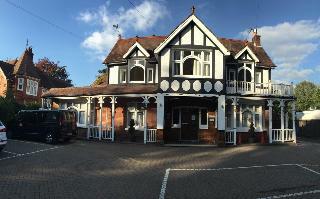 This hotel is situated at the heart of Surrey, close to the charming town of Reigate. The property is easily accessible from the M25 and boasts 50 comfortable bedrooms. Gatwick and Heathrow airports are located just a short driving distance away. Shops, restaurants and entertainment opportunities, as well as many attractions, are within easy driving distance of this hotel. Guests are greeted with warm hospitality and excellent service. The guest rooms are tastefully decorated, offering many amenities for visitors' comfort. The hotel features a delightful lounge, where guests can enjoy a traditional afternoon tea or a light lunch. 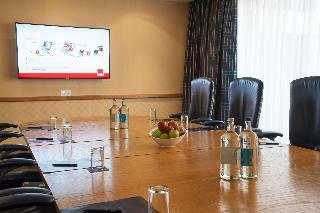 Conference and event facilities are also available, to cater for meetings or special occasions. Lying just a short driving distance away from Gatwick Airport, this property offers a high level of convenience. The hotel is perfect for business and leisure travellers, as well as those seeking relaxation before or after a long flight. Central London is within easy reach, where guests can explore a wealth of cultural attractions, shopping opportunities and a bustling nightlife scene. The guest rooms offer a space perfectly conducive to work and rest. Excellent facilities and services ensure that the needs of business and leisure travellers are fully attended to. The bar offers a relaxing environment in which to unwind with a refreshing drink. Wondering dishes can be enjoyed in the restaurant. Just 10 minutes' walk from Horley, the hotel has a convenient location and provides a warm, relaxing and friendly atmosphere. The town centre of Horley is around 500 m away, and guests can find restaurants and bars within around 5 minutes of the hotel. 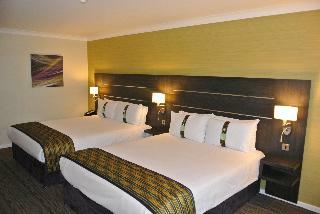 The hotel offers comfortable accommodation with a 24-hour airport transfer service @£8.00 per room per trip. The hotel was renovated in 2016 and offers a total of 27 rooms. Other facilities include a lobby, 24-hour reception and check-out services, a TV lounge, and a car park. All of the rooms are en suite with a shower and hairdryer. They are fitted with a TV, telephone and tea and coffee making facilities. Internet access is provided, as well as a washing machine and ironing set. The rooms have central heating. A continental breakfast is served daily. Dinner is offered as a set menu. Check in was efficient. The room was a good size with a modern bathroom. There wasn’t too much noise from the corridor.